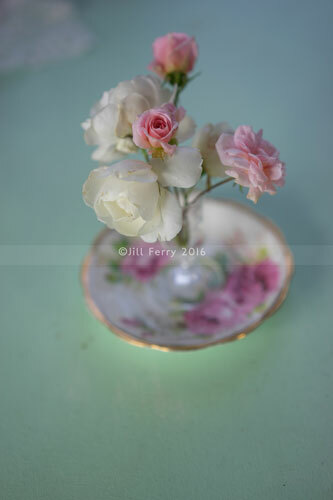 These are almost the last roses of the season and what a wonderful summer and autumn it’s been here too with sunny days, mild temperatures and not as much rain as usual. Winter has arrived today though as has the rain! Roll on spring! This has very simple processing and the texture totally transformed the shot, I also gave it quite a savage crop to begin with and just to show the advantage of a good crop, here’s what it looked like prior. Anyway, the processing and I used a texture from the ever popular Spring Painterly Pack. Gelato Ice @ Soft Light 38% masked softly from the focus flowers. This entry was posted on Sunday, May 22nd, 2016 at 11:14 pm. 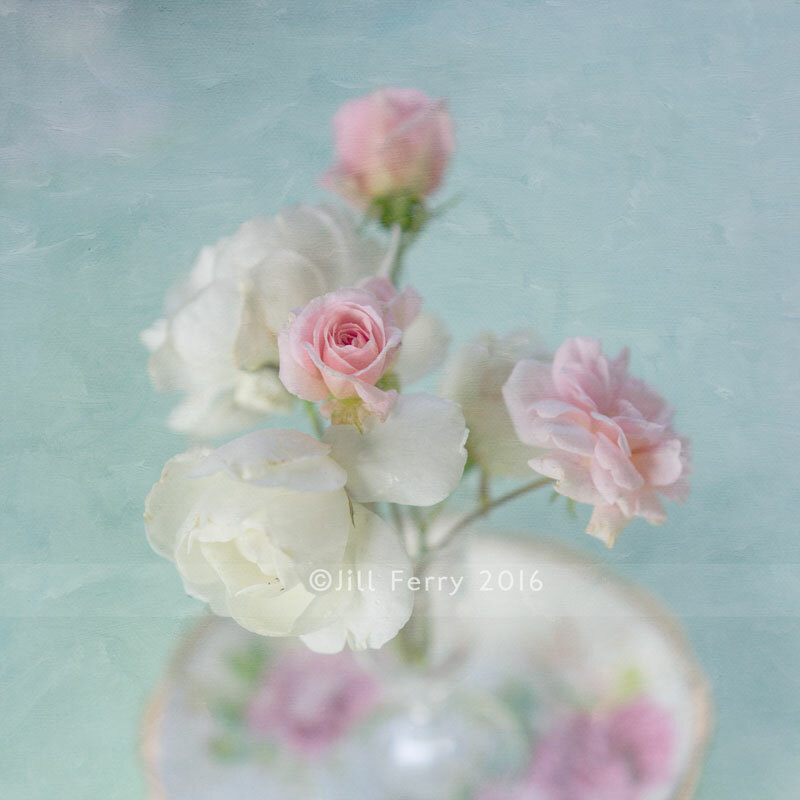 It is filed under Blog and tagged with arrangement, flowers, Jill Ferry, pastel, roses, Spring Painterly Pack. You can follow any responses to this entry through the RSS 2.0 feed.